If you are someone who has been trying to lose weight, here is something important you need to know. Your metabolism plays a key role in your weight loss process. By speeding up your metabolism, you can not only lose more weight, but also improve your overall health. Metabolism is basically a chemical process by which your body converts the food you eat into energy. As you age, your metabolic rate slows down considerably. In fact, right from the age of 25, your metabolic rate decreases by 5% to 10% every ten years. This is one of the reasons why you find it difficult to lose weight as you get older. Fortunately, it is possible to increase your metabolic rate. There are a number of natural herbs and spices that can help you boost your metabolism and help you lose weight naturally. Given below is a list of ten herbs and spices that are known for their ability to increase the rate of metabolism. 1. Ginseng – Known for its ability to boost energy levels and rejuvenate the body, ginseng can also speed up the metabolism when taken regularly. 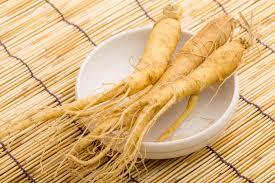 Panax ginseng, especially, is highly effective in boosting your metabolic rate. 2. Black Pepper – Black pepper contains an active component named piperine, which not only boosts metabolism, but also improves your digestive health. 3. Cayenne Pepper – Cayenne pepper contains capsaicin, a compound that boosts metabolism, shrinks fat tissue, lowers blood cholesterol levels, and lowers calorie intake by suppressing appetite. Capsaicin is a thermogenic substance, which stimulates your body to burn more fat and increases your metabolic rate considerably. 4. Ginger – Ginger is a spice that is known for its amazing medicinal properties. It improves digestion, soothes your intestinal tract, lowers cholesterol levels, and improves your overall health. It also suppresses your appetite, reduces your calorie intake, and helps you lose weight by allowing your body to burn more calories. 5. Hawthorn – Studies show that hawthorn berry can be extremely beneficial to people with poor metabolism. It also lowers bad cholesterol, increases good cholesterol, and improves your heart health. 6. Turmeric – One of the basic ingredients in all curry based dishes, turmeric is an excellent metabolism booster. Curcumin, the active ingredient present in turmeric, helps your body break down fat easily and also regulates your metabolism. 7. Cinnamon – Cinnamon is yet another natural metabolism booster. It also regulates your blood sugar levels and lowers the risk of diabetes to a great extent. It lowers the level of bad cholesterol and triglycerides and lowers the risk of heart diseases as well. 8. Cardamom – Cardamom is a thermogenic spice that speeds up your metabolism and helps your body burn fat easily. 9. Mustard – Aside from being one of the tastiest, most popular condiments, mustard is also an amazing fat burner. Mustard seeds, in particular, are very good for your health as they are very high in nutritional value and have the ability to increase your metabolic rate. Studies show that just a teaspoon of mustard seeds can increase your metabolic rate by up to 25%. 10. Green Tea – Green tea, as you probably already know, is full of powerful antioxidants and flavonoids and is a far better and healthier alternative to coffee or regular tea. Studies also show that it also has thermogenic properties and can raise the body’s metabolic rate by promoting fat oxidation. Aside from the herbs and spices mentioned above, you can also add parsley, fennel, mint, brown rice, oats, and green leaves to your diet. And of course, in addition to a healthy diet, you should also incorporate fitness training into your lifestyle to regulate your metabolism and maintain a healthy weight.